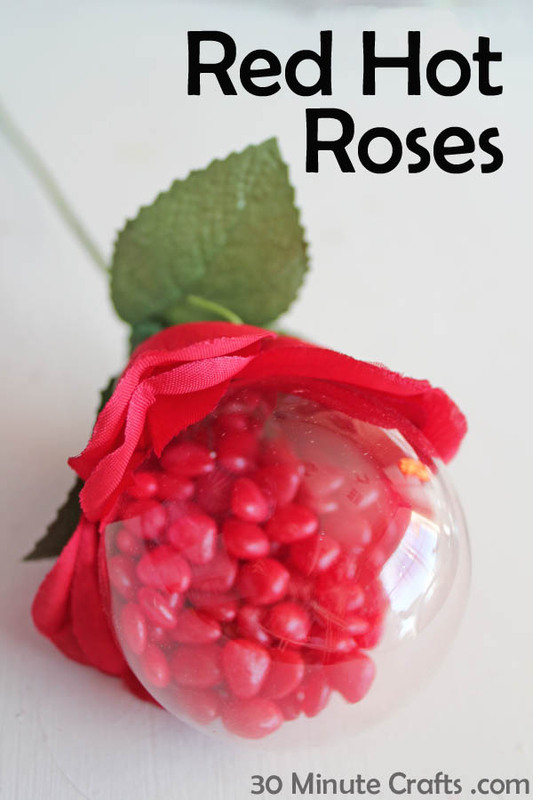 I’m so excited to share with you my Red Hot Roses! 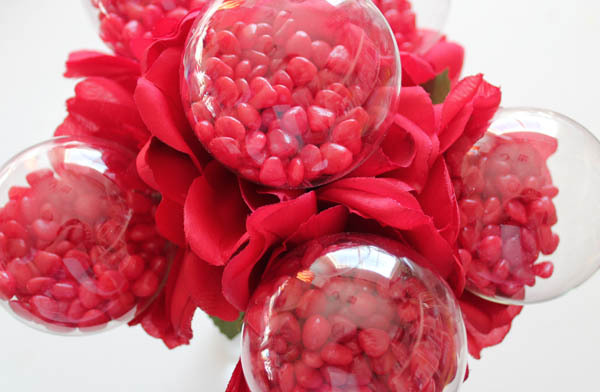 This is such a fun Valentine’s gift to create for someone you think is RED HOT! 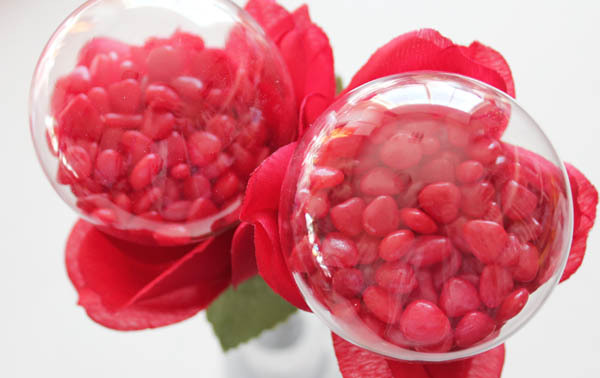 Or, for a valentine who you know loves cinnamon hearts. 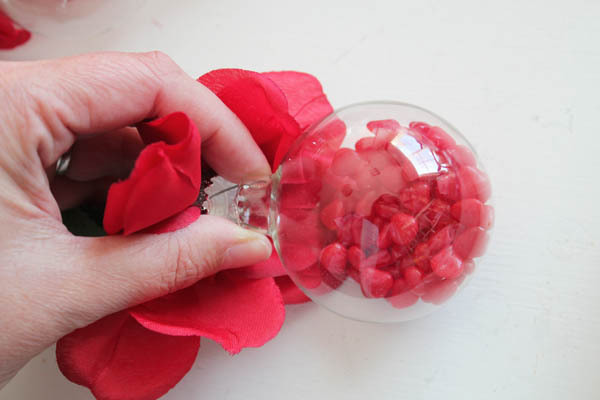 These Valentine Roses won’t die… they just need a little dusting every now and then. 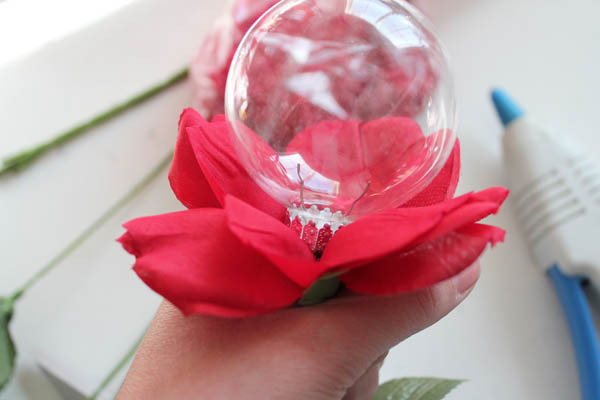 I made these roses in less than 15 minutes as part of this week’s Craft Lightning series. Craft Lightning is a series my bloggy buddy Angie from the Country Chic Cottage and I put together. 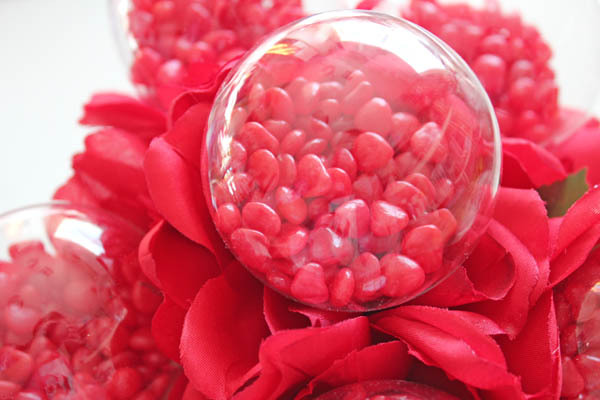 You can go check out the other posts from this Valentine’s edition of Craft Lightning. Those are my Doily Earrings, Duck Tape Frame, Doily Flower, and the Day 1 & 2 Recap, and the Day 3 Recap. 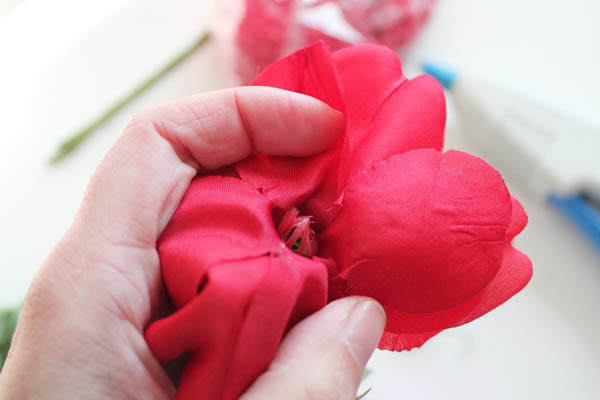 Start by opening up the flower so that you can see the very center of the flower. Fill that center with hot glue. 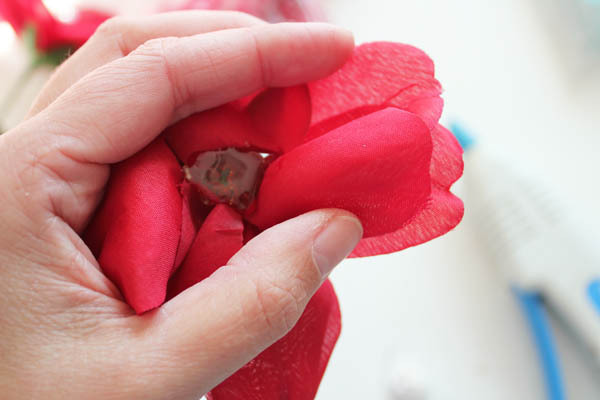 Really tuck the tip of the glue gun right down into the center, and just fill it with hot glue. Insert the metal ring at the top of the ornament into the hot glue. Hold in place for a minute or two, then set down for about 5 minutes to really let the hot glue set. Don’t touch the metal or the area with the hot glue, because it is HOT! 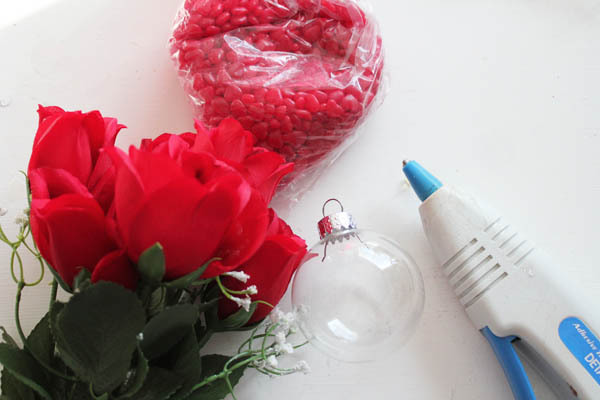 Once the hot glue has set, carefully remove the glass bulb from the metal cap. 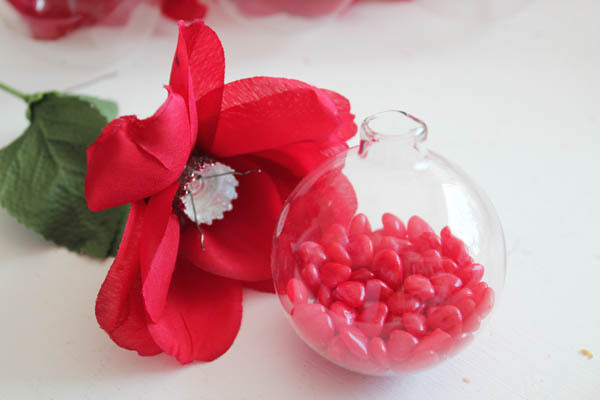 Add about 2 tablespoons of cinnamon hearts to the glass bulb. You don’t want to add much more than that, because the bulb will get too heavy for those two little wires to keep it in place. Carefully pinch in the two wires, and put the bulb back in place. And be sure to come back tonight for a wrap up of today’s Craft Lightning Valentine’s Edition projects from other great fast crafters around the ‘net! Awesome! 🙂 Such a great idea!